Lead-contaminated water in Flint, Michigan has had dire consequences for its 100,000 residents. We can joke about how sometimes we’re at the mercy of a plumber when something goes wrong in our house. However, think about how indispensable they are. Their technical know-how helps preserve the hygiene of entire communities. This week I developed a new appreciation of plumbers. In fact, a lot of them have become my heroes. I’m sure many of us have been shocked and appalled by the environmental disaster in Flint, MI, Government officials at all levels, but particularly at the state level forced Flint to switch its water supply from Lake Huron to a local river that was full of toxic pollutants, including lead. Thousands of children are suffering from the effects of lead poisoning from which they will never recover. 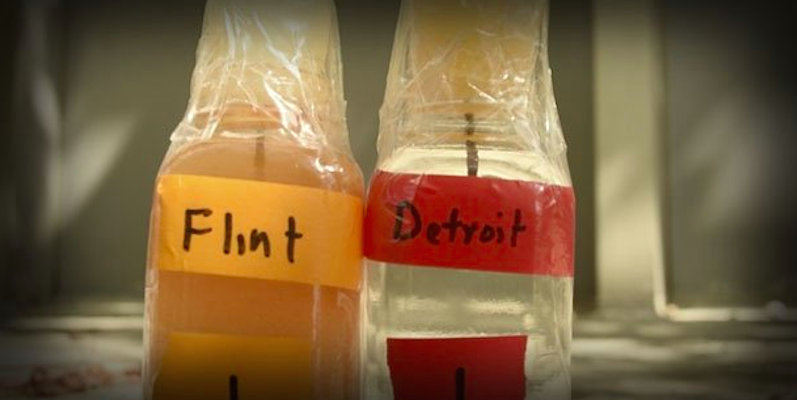 Flint is a depressed working-class town consisting mostly of minority populations. I can’t help but wonder if Flint were an affluent mostly white community. It’s doubtful they would have been forced to switch to an inferior water supply to begin with, but if it were, there’s no way it would be systematically ignored and even mocked by public officials. I hope that there a criminal investigation and that high-ranking government officials go to jail over the poisoning of Flint. To a large extent, the damage has been done. However, in the midst of this man-made disaster there is also a glimmer of hope. According to a report last week, 300 plumbers from unions across the country descended on Flint to install new faucets and water filters for free. Many Flint residents needed new faucets because their existing faucets were so old they could not accommodate water filters provided by the state. The effort was coordinated by the United Association of Journeymen and Apprentices of the Plumbing and Pipe Fitting Industry, known as the United Association. The fixtures were donated by the Plumbing Manufacturers International. For some in Flint, however, even new faucets with modern water filters won’t be enough to fully abate the lead contamination. New tests released recently revealed that, in some Flint homes, the levels of lead “exceed the ability of filtration systems handed.” The filters can safely remove up to 150 parts per billion of lead. Some Flint homes were found to have lead levels of more than 4,000 parts per billion. Residents of Flint, however, are still encouraged to use the filters. For most homes, they will work. The plumbers saw the basic humanity in the people of Flint when officials in power refused to do so. Their example is precisely the approach that our Torah portion calls upon us to take. The text in Parashat Mishpatim reads: כָּל־אַלְמָנָ֥ה וְיָת֖וֹם לֹ֥א תְעַנּֽוּן “You shall not harm any widow or orphan. If you do mistreat one, and if he cries out to me, then I will surely hear his cry. And My anger will blaze forth, and I will kill you with the sword, and your wives will be widows and your children will be orphans” (22: 21-23). God is certainly talking tough here with the measure for measure message. Looking at the big picture, God is described as the defender of widows and orphans, which is a euphemism for the most downtrodden members of society. death twenty years ago. (This essay is excerpted from a collection that I recently published: Love Finer Than Wine: The Writings of Matthew Eisenfeld and Sara Duker.) As Matt notes various commentators point out that note that the verse (22: 21) employs three grammatical peculiarities that serve as strengthening devices, including the word kol, the precedence of subject to verb and the final nun of the word te`anun. The first word of the verse, kol, seems superfluous, as the law could have been taught without its usage. It’s there for emphasis. The subject-verb order also is a point of emphasis. The nun at the end of te’anun is a poetic flourish. From a literary point of view the text instructs us: make no mistake—it’s God’s way to protect the weak and vulnerable. According to Abraham Joshua Heschel, where societal justice is concerned, God is at stake. In Heschel’s words, “People act as they please, doing what they will, abusing the weak, not realizing that they are fighting God, affronting the divine, or that oppression of man is a humiliation of God.” On the other hand, a society that functions well reinforces faith in God. Furthermore, God takes special interest in the weak not only because they are the measure of whether or not the justice system really works but because their welfare reflects God’s own power and effectiveness. Our Torah portion anticipates the statements of the Rabbis in the Midrash and Talmud: Just as God is gracious and compassionate, you too should be gracious and compassionate (Difre Deut. Ekev); As God clothes the naked, you should clothe the naked. As God visits the sick, you should visit the sick. As God comforts the bereaved, you should comfort the bereaved. (Sotah 14a). If our society today thinks it’s ok to pump toxic water into poor cities, then we have a serious leak of the most basic values of decency. Thank God for the plumbers who remind us not only how to fix pipes but also how to stop up the leak of values. The plumbers in Flint got the message that God expects us to defend widows and orphans and other vulnerable members of society. Wouldn’t it be wise of us to follow their lead?